Nine winning drivers, six victorious teams, half a dozen championship contenders and no way of knowing who would lead the way on any given race weekend. Formula 1's unofficial 'Class B' championship, comprising the seven teams outside the big three that duked it out in the midfield, created a dramatic, if disconnected, subplot during the 2018 season. Had it been the battle for outright victory, this would have gone down as an all-time classic season, even though 'champion' Nico Hulkenberg clinched the title with a race to spare when you reshape the season with Mercedes, Ferrari and Red Bull eliminated. For the purposes of this story all results reflect a revised classification for each race disregarding those 'big three' teams, in an era that has an unusually distinct chasm between the lead group and the rest. While the seven protagonists - Renault, Haas, (Racing Point) Force India, Toro Rosso, McLaren, Sauber and Williams - represent a wide range of team sizes, they had one thing in common. All were in a group that was disconnected from the top three, with an average qualifying deficit of around 1.5 seconds from pole position to the best of our Class B runners. Hulkenberg took six midfield victories, winning the 'class crown' by eight points from Renault team-mate Carlos Sainz Jr. He sealed the title in the Brazilian Grand Prix, despite retiring from the race, crowning his strongest season in terms of position in the real world championship, in which he finished seventh. "I'm driving pretty well this year," said Hulkenberg. "There have been a few instances when maybe not, but if you look at the bigger picture - the whole season - I've been driving well and having solid races. And that's why I find myself in this position. "It doesn't really satisfy me enough, but you have to take the best you can achieve. And I think that's the best I could have achieved this year with the current package and car that we have. Our target for the future is to get closer to the front, but for this year - apart from a few weekends - we've capitalised on what we have." But Hulkenberg's charge to the Class B title was far from straightforward. Early in the season, McLaren driver Fernando Alonso led the way off the back of a fortuitous victory in the Australian GP. Alonso owed that win to the Haas team's pitstop blunders, which first removed Class B leader Kevin Magnussen and then Romain Grosjean, who stopped on track, leading to the deployment of the virtual safety car. Hulkenberg pitted at the same time as Grosjean, allowing Alonso to take a cheap stop and jump to the front of the midfield ahead of Hulkenberg. Pierre Gasly's shock Bahrain victory, which came from nowhere after Toro Rosso struggled in Australia, was one of two triumphs for the rookie. He also won comfortably in Hungary, but was never consistent enough to be in the title hunt. 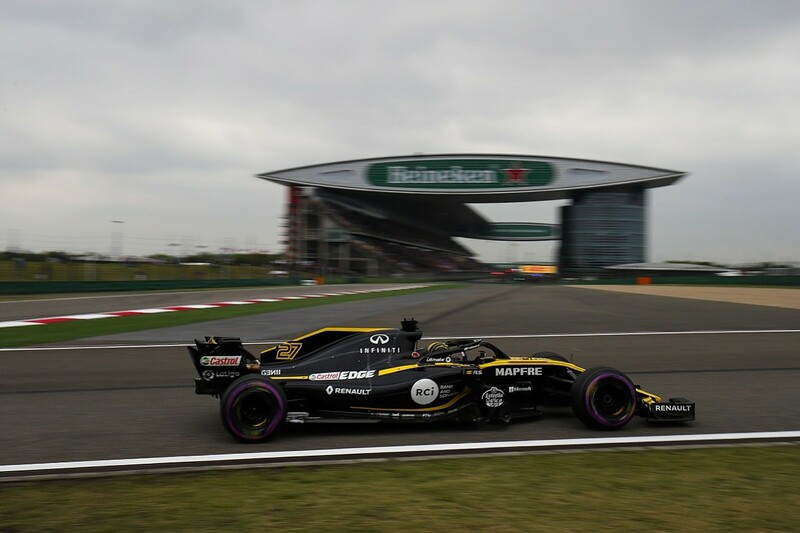 Hulkenberg took his first win in the third round of the season in China with a dominant performance, hitting the top of the points table for the first time. But for the second consecutive year he crashed out of the Azerbaijan GP, and Alonso's heroic drive to fourth in a heavily damaged car allowed him to retake the lead. Hulkenberg was then wiped out at the start in Spain by Grosjean's Turn 3 spin, leaving Magnussen a clear run to victory. Alonso's third place extended his lead to 15 points over Sainz. Alonso's consistency allowed him to still lead despite retiring from the Monaco GP. Esteban Ocon won in Monte Carlo - Force India's second victory of the year after Sergio Perez's triumph in Baku - with Hulkenberg in third. Hulkenberg's second victory of the season came in Canada, where Renault dominated and Sainz backed him up in second place. 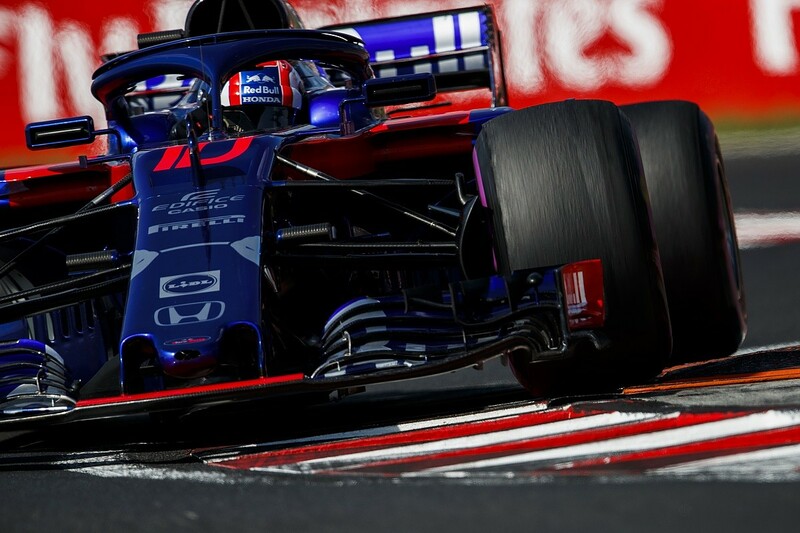 But although Sainz then took the championship lead by two points in the following French GP thanks to a second place ahead of Hulkenberg, it was actually a missed opportunity. Sainz had utterly dominated, but an MGU-K failure in the closing stages meant he dropped behind Magnussen. Magnussen's second place in Austria behind Grosjean, who had ensured he wouldn't be a title contender by only picking up three points in the first six races, drew him to just six points behind leader Sainz after a disastrous weekend for Renault. Hulkenberg retired with an engine failure, while Sainz's race started promisingly, but he managed only ninth in class thanks to tyre-degradation problems. The next two races were critical to Hulkenberg's season. At Silverstone, he led the first stint but was set to be undercut by Charles Leclerc when an unsafe release forced the Sauber driver to stop. Sainz's collision at Copse with Grosjean put him out, and allowed Hulkenberg to take a 15-point lead over Magnussen, who survived his own clash with Grosjean to finish fourth. Magnussen looked set to close the gap in the German GP before the rain came and he started to struggle, which allowed Hulkenberg to pass him for the lead. Magnussen then faded to seventh, with Grosjean and Perez coming through to complete the podium. Eleven races down, Hulkenberg had a 34-point lead over Magnussen, and Sainz was a further eight points back. But he went into the August break with that advantage cut to 22 points in Hungary thanks to Magnussen following dominant winner Gasly home. 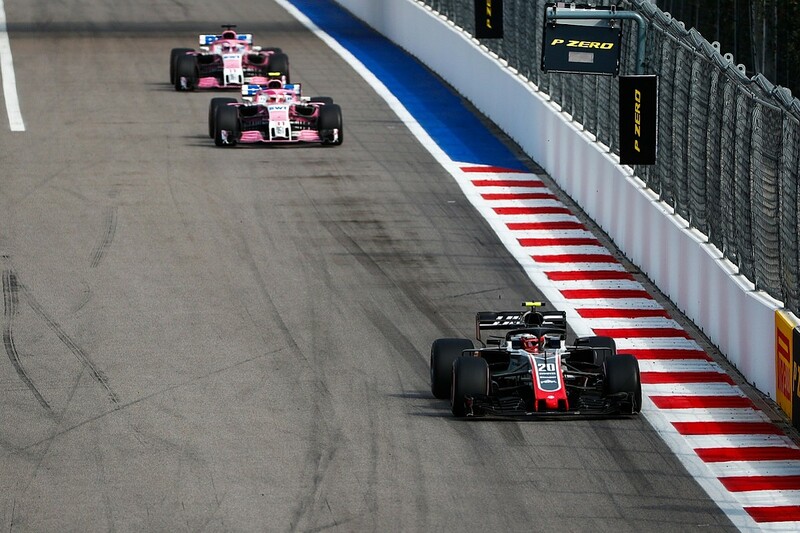 Force India drivers Ocon and Perez were close enough to potentially get in the hunt, but it was in the races immediately after the break that both hit form. In the reborn Racing Point Force India team, they took a pair of one-two finishes at Spa and Monza, with Perez winning in Belgium and Ocon in Italy, while Hulkenberg managed a paltry four points. The Renault star's mistake at the start at Spa, where he locked up and booted Alonso into Leclerc's Sauber, was particularly costly. Although Alonso hit back by winning in Singapore, it was McLaren's final victory of the season and he was only a peripheral figure in the title fight to the end of the season. Sainz's second place in Singapore, which followed third at Monza, meant Hulkenberg's lead was down to 13 points, with Magnussen 26 down and the Force Indias just behind. But the pink cars' momentum had been slowed when Perez hit Ocon in Singapore, then had struggles with Sergey Sirotkin. Magnussen's hopes were hit at Sochi - despite Hulkenberg struggling to sixth and Sainz 11th - when he was passed by eventual victor Leclerc early on. That second place moved the Dane ahead of Sainz and to within 16 points of Hulkenberg. But after a sensational pass around the outside of Leclerc at Suzuka's 130R, Magnussen's foolish defending put him out of the race when he made contact with Leclerc. It also meant the Haas driver couldn't capitalise on a poor weekend for Hulkenberg, who retired thanks to being out of outright points contention (euphemistically described by the Renault team as a problem with the rear, which actually meant a problem with being at the rear of the race!). Perez won after passing Grosjean - who was miraculous on his way to second despite the rear-left wheel having a dangerous amount of play in it - to close to six points off Hulkenberg, while Ocon's third place meant he was only one point further back. Renault's poor form meant that the smart money was now on one of the two Force Indias, or Magnussen, to take the title. Then came Renault's resurgence at Austin - Hulkenberg and Sainz took a one-two ahead of Perez to steady the ship. But Perez then looked set to close to eight points off Hulkenberg by beating him to victory at Mexico City. Although Hulkenberg qualified on pole position, with Perez only seventh, the Renault driver was locked in to starting on the hypersoft Pirellis. Perez ran longer after starting on supersofts when brake problems hit shortly before half-distance. After struggling on for a couple of laps, he retired following a caliper failure. Hulkenberg built a 41-point lead as a result, meaning the title fight was as good as done. "It's been really intense," said Perez after his home race. "Since day one, tenths make a big difference to your weekend. I should be really close to Hulkenberg now, but when you have a race like I've had, and Nico has scored so many points, it's very hard." Hulkenberg sealed the title despite retiring with overheating problems at Interlagos. While Perez, Sainz and Ocon were all still in mathematical contention heading into the race, Leclerc's win ahead of the damaged Haas of Grosjean prevented any of this trio scoring big points. So when Grosjean booted Hulkenberg into a roll in Abu Dhabi, it didn't matter because the German had already made sure he'd win the title by eight points. Leclerc led that race initially, but stopped early and allowed Sainz to run long after starting on ultrasofts. Sainz's pace late in his stint was strong enough to allow him to pit and rejoin ahead of the Sauber to take what was his only victory of the year. It was a just reward for Sainz - who'd had the French GP in the bag before losing the MGU-K, and was also set to win in Mexico before an engine shutdown - and gave him second in the championship. The gap to Hulkenberg was flattering, as the champion had seven retirements, although two of those were down to his mistakes, but Sainz was a consistent performer who also took six second places and deserved his late-season success. Sainz, along with the Force India drivers and Magnussen, all have reason to regret not winning the midfield battle. 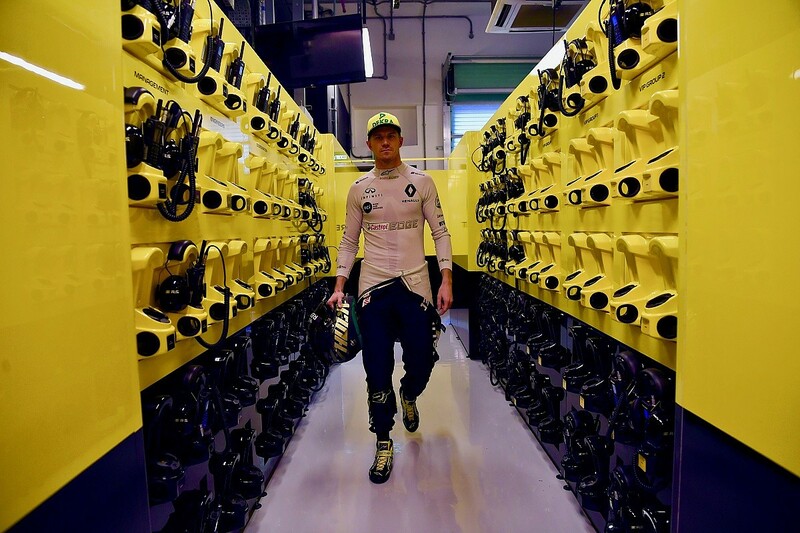 But ultimately Hulkenberg had more sustained peaks than any of his rivals, as the final victory tally of six proves. Behind the top five, Leclerc's late-season run of success, with a win and a pair of seconds in the final three races, allowed him to pip Alonso to sixth in the standings. With an unpredictable battle and so many title contenders, you can't help but wonder what it would be like if the front of the field was as hard-fought as the midfield was in 2018.